Tonight we were dispatched to City Ave and Cardinal for an accident with entrapment. 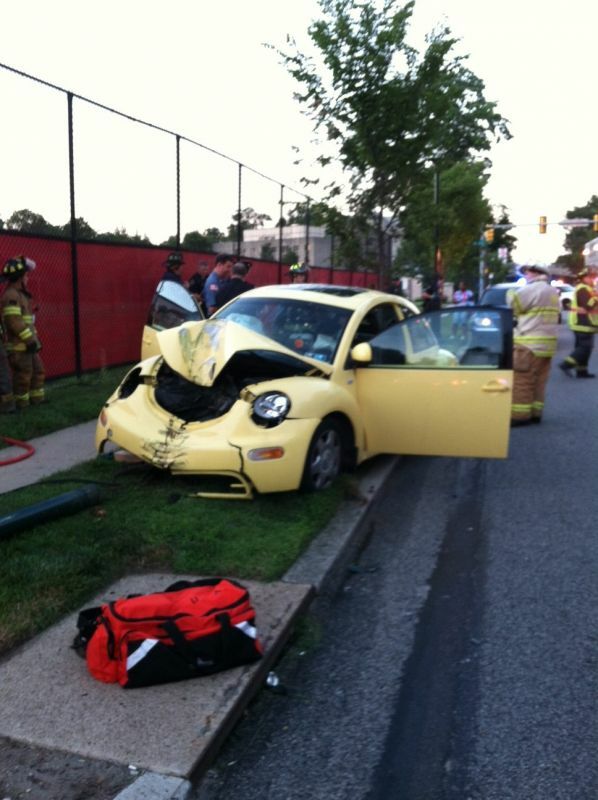 Crews arrived to find a Volkswagon Beetle off the roadway with the driver unconscious. Rescue services were not needed however we stood by until the patient was removed from the vehicle. Units on scene were Pipeline 28, Utility 28, Rescue 21, Rescue 22, Medic 313, LM Police and a Philly Medic Unit.